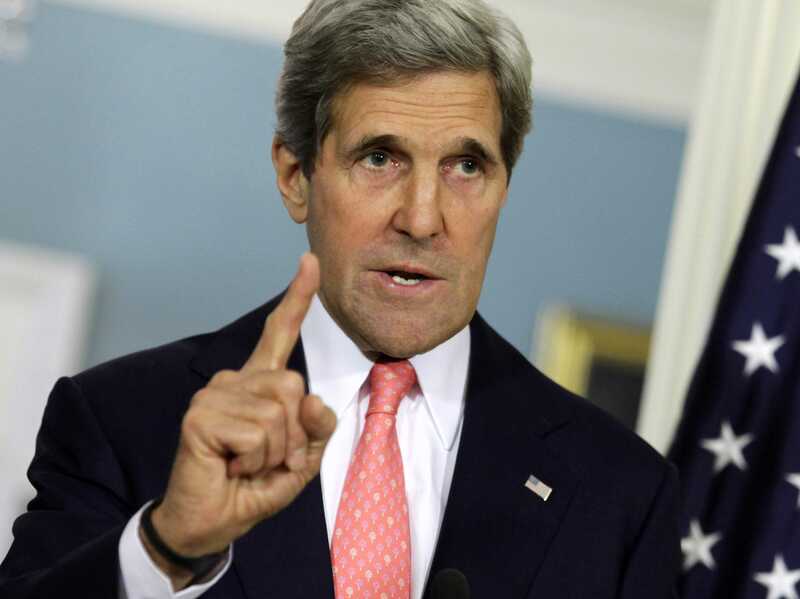 SEOUL – (CT&P) – Secretary of State John Kerry say he’s confident that the cave dwelling fanatics that have been slaughtering each other for centuries over a religious dispute will stop killing each other long before the end of time. Kerry, who is traveling through South Korea, says that he’s always said the fight between different sects of the “religion of peace” would be a long one, but would eventually burn itself out just like the Hundred Year’s War between Catholics and Protestants did in Europe. He said that Ramadi was a “target of opportunity” for the savages from the Islamic State but he’s confident that the savages that we currently support will get the upper hand in coming days, which in turn will lead to another round of murder and mayhem, thus reducing the numbers of fighters on both sides. Ramadi fell to ISIS on Sunday, as Iraqi forces that we spent billions to train and equip ran like frightened schoolchildren in the face of a few black and white flags mounted on top of pickup trucks. The brave Iraqi troops abandoned their weapons and armored vehicles to flee the provincial capital in a major loss despite intensified U.S.-led airstrikes. 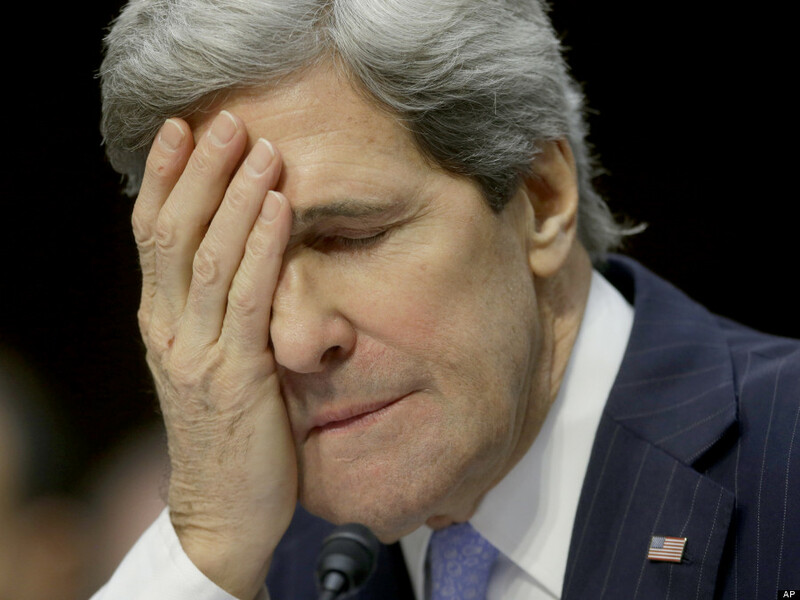 “I’m confident that once all of these idiots on both sides are dead the fighting will stop,” said Kerry. Kerry closed the impromptu presser by saying that we were not at war with Islam and had great respect for its long history of showing tolerance and love for members of different religions just before killing them. “We hope that in the future other countries can be more like America where we tolerate people with a wide variety of fucked up religious beliefs and usually stop short of burning them alive no matter how wacked-out and batshit crazy they may be,” said Kerry.